My professional experience with SharePoint has been somewhat brief, but working for one of the top SharePoint firms in the nation has required me to get up to speed fairly quickly. For most of you reading this, chances are you're already a SharePoint advocate. The features integrated throughout SharePoint are great. From document libraries, wikis, versioning, alerts, team sites, search, and the million other things SharePoint can do it's easy for myself to see the benefits. Unfortunately, not everyone thinks like myself and sees SharePoint as an additional IT initiative that will only make their work day harder. I've found that explaining the value of SharePoint to clients can feel a little like speaking a foreign language. The more I talk, the less they understand, and the less they understand, the more likely they are to reject it. All is not lost though, actually quite the contrary. For those that are onboard with implementing SharePoint and even those that are still skeptical, below is a few simple steps that can have a real impact on seeing the benefits of SharePoint and gaining user adoption. I know it sounds cliché, but I often hear about companies that are bewildered by their low SharePoint user adoption numbers. They set up their environment and had everyone come to some training sessions, but no one seems to be using it. The biggest problem here? SharePoint isn't Facebook. It’s a great tool for managing and organizing company files, but people aren't going to leap at the opportunity to use it. It’s not "cool." In order to get people onboard you'll need a well-structured plan to target the great social aspects of SharePoint and how it will make their day to day tasks that much simpler and enjoyable. You know your company and you know how your colleagues work. Get creative and build a plan that will inspire them to adopt. I know SharePoint is awesome, but how bout your end users? Your colleagues are just trying to get their day to day job done, answer emails, find relevant information and avoid boring meetings. Put yourself in your users shoes and determine how they will interact with the site. What does Scott in Marketing need that SharePoint can provide? What are his pain points? People just want things to happen easily and if they can see how SharePoint will help them do that, they will jump at the chance to adopt it. If you want success with your SharePoint adoption, you need strong leadership. If your CEO and senior management doesn't use it then why are the rest of your users going to? The leaders of your company need to be seen to be onboard with SharePoint and utilizing the same benefits that it's adding to the rest of the company. If they are correctly using it and reaping the benefits then you can darn well expect the rest of the company to follow suit. We've all been a part of a company training session and upon leaving it said "well that's two hours of my life that I'll never get back". Don't get me wrong, SharePoint training sessions can be extremely valuable to your users. However, these sessions need to be targeted towards specific departments. 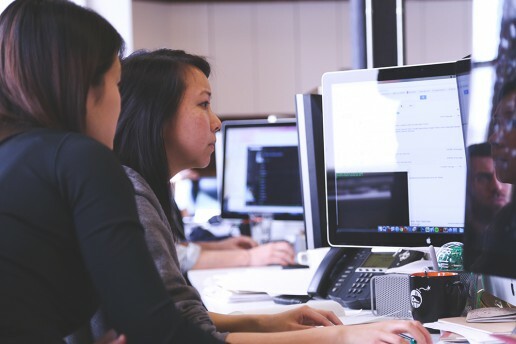 In order for these training sessions to be effective and above all, useful, you need to show your users how the platform can be used in their day to day work. Give them specific examples so they can see just how beneficial utilizing SharePoint is to making their job easier. Getting marketing onboard with your SharePoint implementation can go a long way in upping your numbers. Get people in the company excited about SharePoint. Put up a few posters around the office, send out emails with daily tips and cool features, and hold Q&A sessions. Build some excitement around SharePoint and convey the message that SharePoint will make things easier, faster and better in their day to day work life. SharePoint offers a range of tools for measuring how engaged your users are. Keep an eye on these figures and work out where there are problems. Target departments with low engagement and listen to colleagues and implement a plan to encourage adoption. It is critical for project teams to have a professional solution in order to work efficiently. Companies are continuously changing their work process policies, in turn adopting more team-oriented approaches. Below we will discuss the extensive amount of collaborative tools that SharePoint has to offer. Announcements – The Team Site comes with a built-in Announcements list, designed as a tool for keeping the entire team informed about the latest project status or changes. Document Libraries – These are collections of files that team members share in order to ensure comprehensive information about a project’s objectives and activities. Usually, document libraries contain procedures, manuals or instructions. Tasks – This is a feature dedicated to team managers that enables them to allocate tasks and track activity status. For each task, managers can assign it to one or more team members, select its priority, and enter the percentage of the task completed. Project Tasks – A project task is a simple project management feature that uses a timeline and Gantt bars to represent the tasks in a project. Calendars – A SharePoint calendar allows teams to share information about dates, events and schedules. Also, it offers users the possibility to create and integrate Meeting Workspace sites that contain tools for managing objectives, meeting agendas, guest lists, and meeting documents. Discussion boards – With this feature, team members can share information and centralize feedback about specific processes or activities. Slide libraries – They help team members to share, store, and manage Microsoft Office PowerPoint slides. Wiki page libraries – These libraries are designed for employees to capture and share ideas by creating simple pages and linking them together. A wiki page is useful for gathering and sharing ideas quickly. The Issue tracking feature enables team members to track issues with a project or item. SharePoint will also send notification to users according to each issue priority. Surveys – This SharePoint feature allows managers to ask and gather feedback from team members about issues, processes and many other topics. Users can collect the results by using several different types of questions, such as multiple choice, fill-in fields, ratings and even anonymous responses. 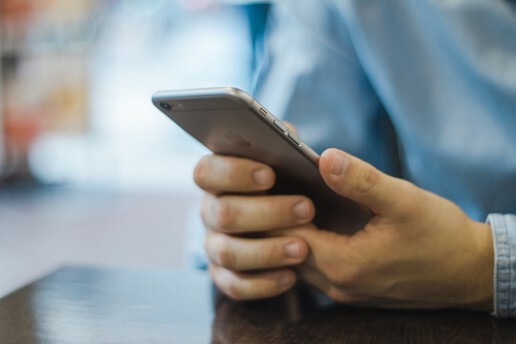 It’s time to untether with the SharePoint mobile app, which enables you to stay connected to important content, sites, portals and people from your intranet while you’re on the go. Get the full power of SharePoint on your phone. This new app, too, is infused with intelligence from the Office Graph to help you navigate more quickly to content and people that matter to you the most. The Sites tab takes you to your Sites, Recent sites and Followed sites, where you can keep up with site activity, navigate using quick launch or see recent files. The Links tab takes you to sites and portals programmed for everyone in the company. The People tab gives you access to the people you work with and visibility into what they are working on. Search is available throughout with clean results filtered by sites, files and people. 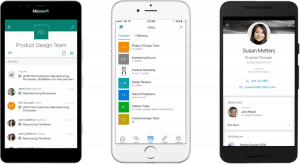 The SharePoint mobile app is available on Windows, iOS and Android. Users can also have multiple accounts online and on-premises, and can easily switch between them. The SharePoint mobile app for iOS is now available, followed by versions for Windows and Android in the second half of 2016. And a planned, future update to the app will bring company news and announcements to your device.